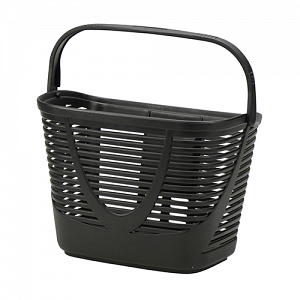 Smaller and therefore extremely stable, weather-resistant basket made of polypropylene material. Comfortable handle and easily adjustable adapter plate for KLICKfix handlebar adapter. Also perfect for kids' bikes. If the distance to your back wheel is large enough, you can use the small Shopper with Extender on the seatpost. 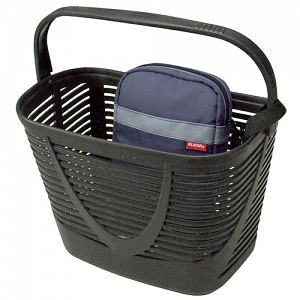 The Lamello Mini basket is ideal in combination with our little BaB's Basket Bags.